It’s four to five hours drive from Mbabane (Swaziland) to Jo’burg. 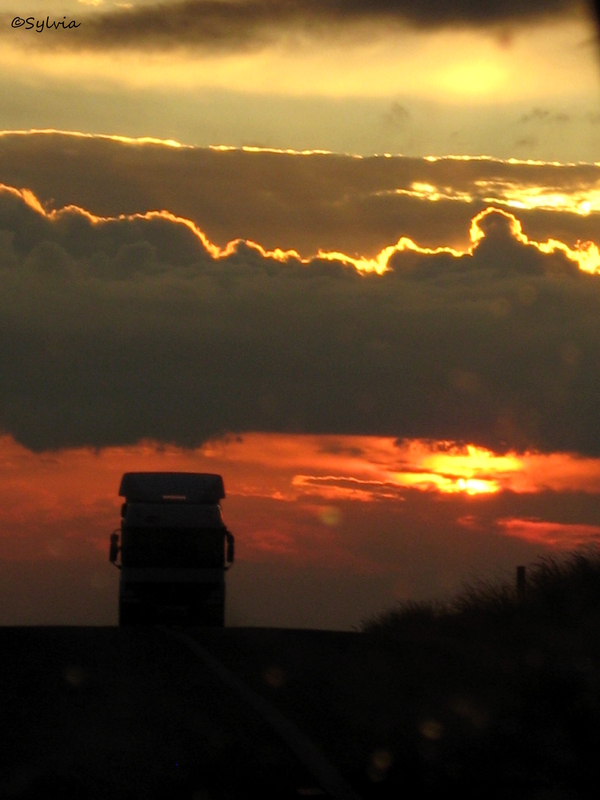 On that road I got this snapshot of a truck’s silhouette against the red and golden sky. This photo might look a pit dull (because of a poor camera and low light) but the moment I took it was amazing. We were on a safari in Chobe National Park. In the evening when the sun had just gone down we came across of this herd of buffaloes. There were hundreds or maybe even a thousand buffaloes crossing a dry riverbed. Young ones and old ones all together. In that darkening night the ribbon of buffaloes continued as long as I could see. 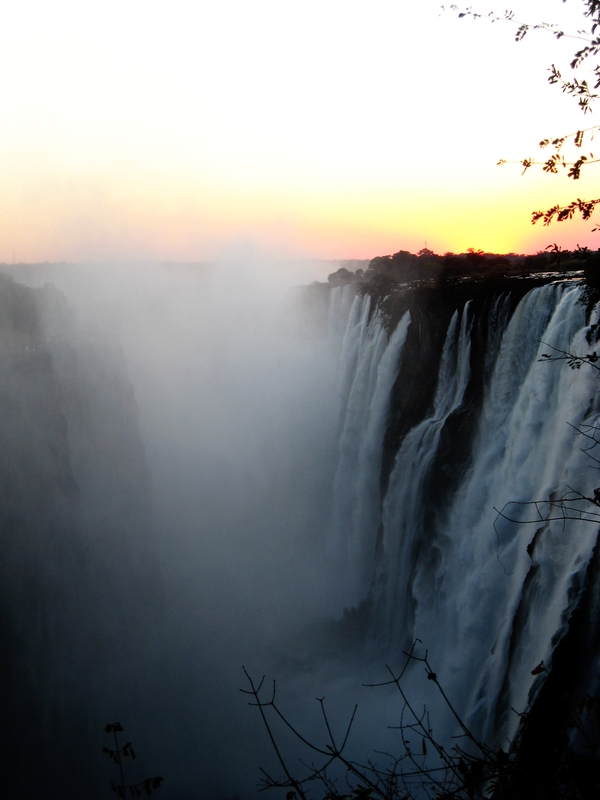 That alone was a mesmerising sight. But that alone wasn’t enought. The lions were also there. A pack of lions had killed a kudu and they were eating less than a hundred meters away from the buffaloes. One lion left the pack and moved closer to the buffaloes just to observe them. The lion was sitting there staring the buffaloes while we were sitting in a safari truck and staring her staring the buffaloes. 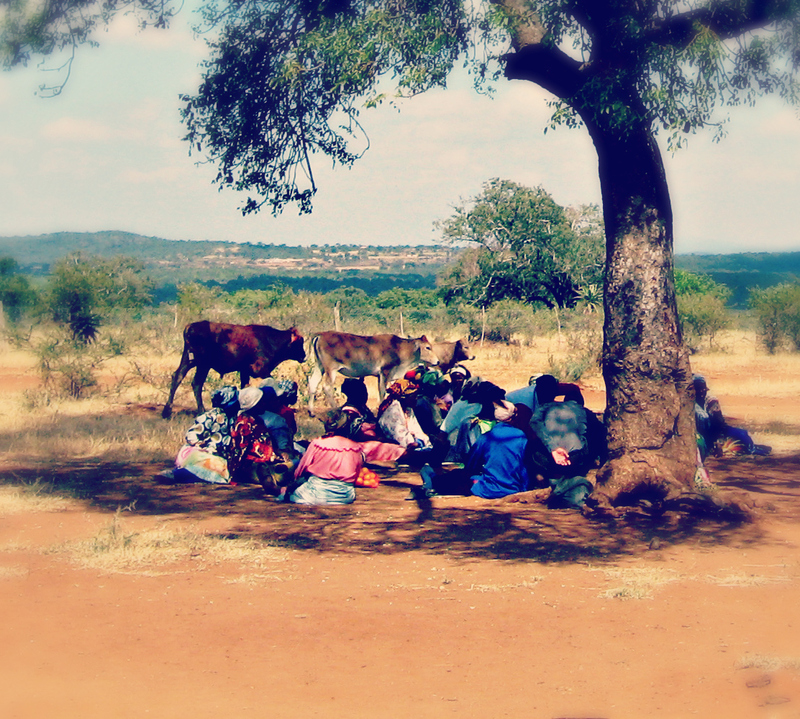 The buffaloes went on and we had to return to the camp but that sight I will never forget. 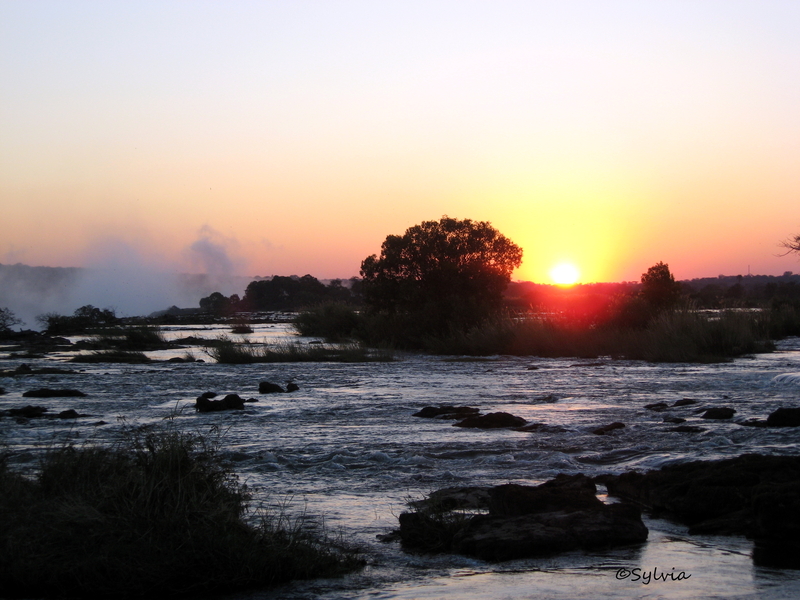 I saw this amazing sunset at the Mosi oa Tunya / Victoria Falls.